Renee Bymark, ElderCircle Executive Director, has more than 25 years of business experience, is an active community member and has strong connections throughout the area. She is experienced in fundraising, human resources, marketing, budgeting, management and staff development. Renee's responsibilities are to oversee programs; develop, plan and deliver services; lead agency staff; oversee finances; establish, maintain and advance community relations; and implement board policies and decisions. 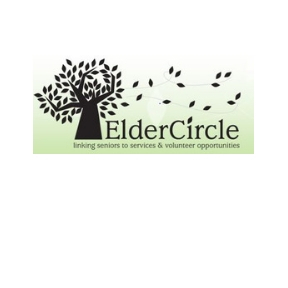 Her vision and leadership skills are incredible assets to the vibrancy of the agency, as well as provide invaluable insight to the management of ElderCircle’s programs and services. Lisa Porthan, Executive Director/ Caregiver Consultant of Northwoods Partners since 2008. Bachelor of Arts degree in Sociology of Law and Criminology form the University of Minnesota. She has completed masters credits in Social Work and has earned her Non-profit administrative certificate from University of Wisconsin. She has participated numerous training's in caregiver support, family mediation, dementia care, REACH, MAVA, TCARE. Matter of Balance, Powerful Tools for Caregivers to name a few. She was chosen as Visionary Leader of the Year in 2017 by the Minnesota Council of Nonprofits. Mike Saindon is Aging Policy Lead in the Aging and Adult services division at the Minnesota Department of Human Services. Mike graduated in 2012 from the Humphrey School of Public Affairs at the University of Minnesota with a Master’s Degree in Public Affairs. He primarily works on elderly waiver policy and with the Minnesota Board on Aging’s strategic planning effort; MN 2030 Looking Forward. Before his current position at the Minnesota Department of Human Services, Mike administered and managed continuing medical education programming for physicians and nurses. Reena Shetty has worked in the aging network for over 18 years. Prior to her current role as the Planning Coordinator with the Minnesota Board on Aging, she worked with local government at the City of St. Cloud followed by regional (aging services) planning efforts in Tulsa, Oklahoma and most recently with the State North Carolina in coordinating the State’s older worker program. Reena graduated with a Master of Public Affairs from the Humphrey School of Public Affairs. 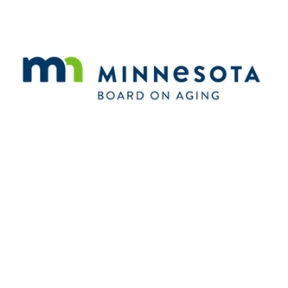 The Greater MN Program Manager is responsible for working to expand and build capacity for Greater Minnesota nonprofits and government entities through excellence in volunteerism. Vreeland will work to assess needs and create strategic partnerships while building capacity for volunteerism in Greater Minnesota. Vreeland comes to MAVA with over 30 years of non-profit experience, over 15 of those years in the Chamber of Commerce management field. Following her chamber career she continued to work for regional non-profit organizations including: Minnesota Technology and as the Non Profit Resource Specialist for Bremer Bank in Brainerd. Vreeland received her IOM designation at the University of Colorado, Boulder, through the US Chamber of Commerce IOM Program. She received her undergraduate degree at St. Cloud State University and is a 2016 graduate of the University of St. Thomas Executive Director Leadership Program.